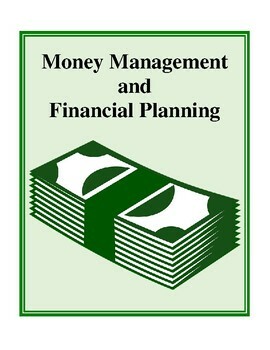 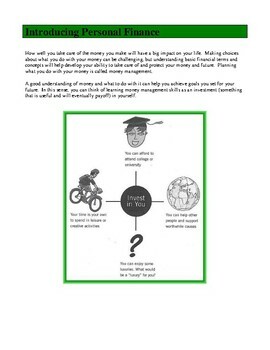 Money Management and Financial Planning offers a unique resource for teaching an introduction to Personal Finance. 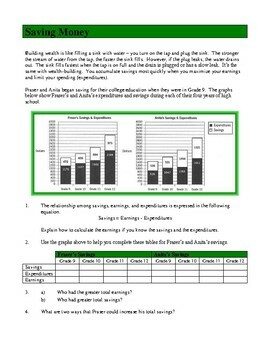 Students will explore wealth, money, earnings, checks, credit, saving, budgeting, interest, investing, the stock market, investor profiles, and risk. 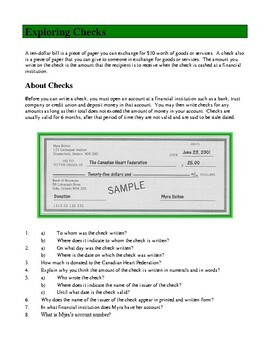 Activity and worksheet titles include: Introducing Personal Finance, What is Wealth?, The Evolution of Money, Earning Money, Mass Mailing for Music Madness, Melissa Contracts to Work for Pennies, Exploring Checks, Exploring Debit & Credit Cards, Being Responsible, Saving and Budgeting, Distinguishing between Needs and Wants, Saving Money, Costs: Sales and Discounts, Growing Your Savings, The Value of Interest, Investing: Sports Cards, Investing in Art, Dream Ride, How Do Stock Markets Work?, Name That Term, What Determines Price?, Selecting Investments for Your Portfolio, Investor Profile Self Test, Investment Risk Categories, Glossary of Financial Terms.